Janet accompanies African partners as they strive to address the marginalization of women and children in their communities. She assists them with strategic planning, works with women leaders as they seek to expand their skill sets, supports initiatives that promote the well-being of women and children, and encourages relationship building among women across Africa. She also engages with Presbyterian Women and other US constituencies who wish to come alongside and promote these efforts. 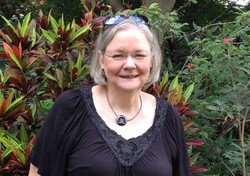 Janet has worked with the Church of Christ in Thailand in community development ministries to develop its response to the HIV and AIDS pandemic. She also worked with South Africans struggling with the HIV and AIDS crisis.